The Lounge provides a relaxed environment including couches and cafe style seating. This area can be hired out exclusively and is perfect for large groups. Can hold up to 75 people. 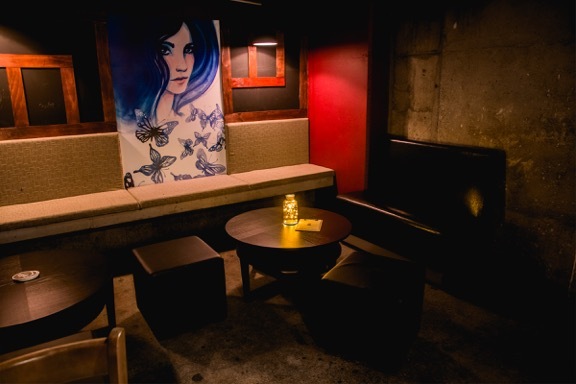 Reserve your space in the main room by booking out one of our booth areas. Being right on the dance floor gives you a perfect view of the DJ and crowd during events & club nights. Each booth is suited for up to 15 people, and multiple booths can be booked to accommodate larger groups. The VIP Room offers a private entertainment area including couches and booth style seating away from the crowd. This area is perfect for private functions and can be hired exclusively with great access to the bar. Can hold up to 35 people.